Pt. Krishnarao Shankar Pandit of Gwalior Gharana is acknowledged as a doyen of Hindustani Classical Music. He was born on 26th July 1893. Pt. Krishnaraoji was groomed at a very early age by his illustrious and devoted father Pt. Shankar Pandit who was legend in himself and the late Ustad Nissar Hussain Khan. Not only was noted for his unique and incomparable vocal music but also for devoting his entire life to the service of music and its propagation amongst the masses. Panditji has trained a number of disciples. He founded a school of music Shankar Gandharva Mahavidyalaya in Gwalior in 1914. He has evolved an easy & independent notation system in 1914. Panditji has published 8 books & written many articles in different journals & magazines. For his immense contribution for the world of classical music, he has been bestowed with numerous honours. On the occasion of his 61st Birthday – by the citizens of Gwalior, Bhopal, Indore, Bombay Sagar etc. – 1957. Nagrik Samman – By the Municipal Corporation and Citizens of Gwalior – 1959. Certificate of Excellence – Gandharva Mahavidyala Mandal – Golden Jubilee, Bombay – 1952. Felicitations by – Pt. Bhatkhande Centenary Celebrations, Gwalior – 1960 etc. Sangeet Research Academy, Calcutta – 1980. Faculty of Music & Fine Arts, University of Delhi – 1986 etc. “Pt. Krishna Rao Shankar Pandit Prasang” organised by Bharat Bhawan-Bhopal. A three day festival organised on his personality, works and musical contribution – 16th, 17th & 18th November 1985. 1) From the erstwhile States : Satara, Rajgarh, Bharatpur, Baroda, Patiala, Nabha, Kashmir, Mysore, Lucknow, Gwalior, Rampur, Nepal etc. 2) Felicitations by the National Leaders : Lok Manya Bal Gangadhar Tilak, Rashtrapita Mahatma Gandhi, Pt. Jawahar Lal Nehru, Sardar Vallabh Bhai Patel, Dr. Rajendra Prasad, Sarvapalli Radhakrishna, Sh. V.V. Giri, Smt. Indira Gandhi, Sh. Moraji Desai, Sh. Rajiv Gandhi, Jagadguru Shankaracharya etc. Besides this Panditji was a freedom fighter an inviteee to the All India Congress Sessions every year where he used to inspire the masses through this music. State Musician of the erstwhile State of Satara (Maharashtra) 1911-1912, Gwalior twice from 1926 to 1935 and since 1936 up to death. • “Emeritus Professor” Madhav Music College, Gwalior – 1947 till death.• Producer Emeritus – All India Radio and Doordarshan 1981-1984, Fellowship from Education and Cultural Ministry, Government of India- 1980. All India Radio Archives, New Delhi, Various Stations of All India Radio, National Centre for performing Arts Bombay, Columbia – 78 RMP recordings, L.P. recording HMV, H.M.V. Cassette recordings, Madhya Pradesh Kala Parishad, Faculty of Music & Fine Arts – Delhi University, Sangeet Natak Academy, Disc recordings prepared by Seth Laxmichand of Karachi in 1934, “Great Tradition” Master of Music, L.P. recording of H.M.V. Released in The Festival of India 1986. Its first disc was presented by Hon’ble Prime Minister Sh. Rajiv Gandhi to Panditji himself, Recordings available with different institiutions, music lovers and connoisseurs of music. “The Great Masters” produced by Doordarshan – 1984 , Documentary film by the Films divisons “Pt. 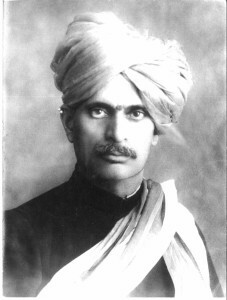 Krishna Rao Shankar Pandit” – 1987, Bharat Bhawan – Bhopal, A Photo exhibition on life and works of Panditji by information and publication division of Madhya Pradesh Government, Panditji has envolved an easy and independent Notation System as early as 1914. Panditji breathed his last on 22nd August, 1989 at Gwalior, his recordings and writings provide inspiration and encouragement to all the present and coming generations. With him has passed away a stalwart of a bygone era, the like of whom will perhaps never adorn the field of Indian Classical music in the years to come. His great tradition continues with his illustrious son Pt Laxman Krishnarao Pandit, grand daughter Meeta Pandit and a number of prominent disciples.